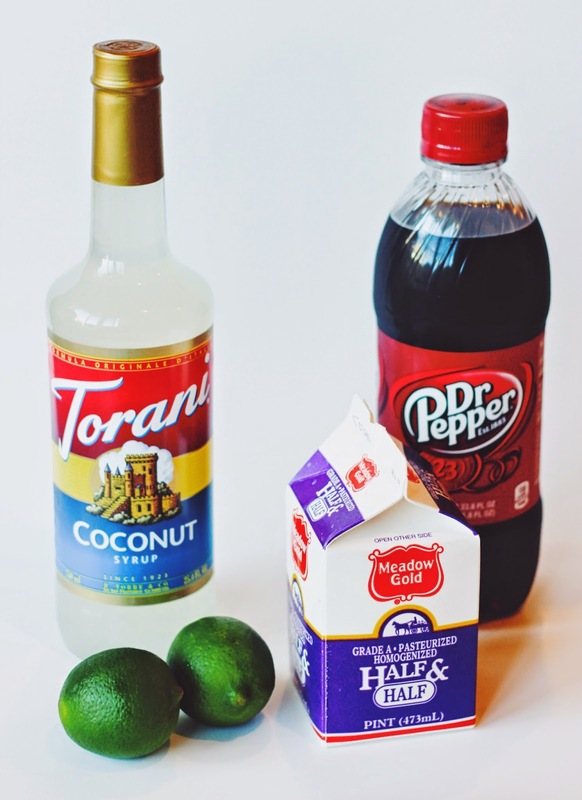 Janelle In Real Life: Make Your Own Dirty Dr. Pepper! We're coming up on summer so soon here, and one of my favorite summer things is the ice cold drinks & treats. Yuuuuum! Here in Utah since not as many people drink coffee, in place of coffee stands we have drive-thru soda shops. This is where you create a soda cocktail so to speak... you can add lots of yummy flavors to your soda to create a wonderful concoction. My favorite is a classic Dirty Dr. Pepper. 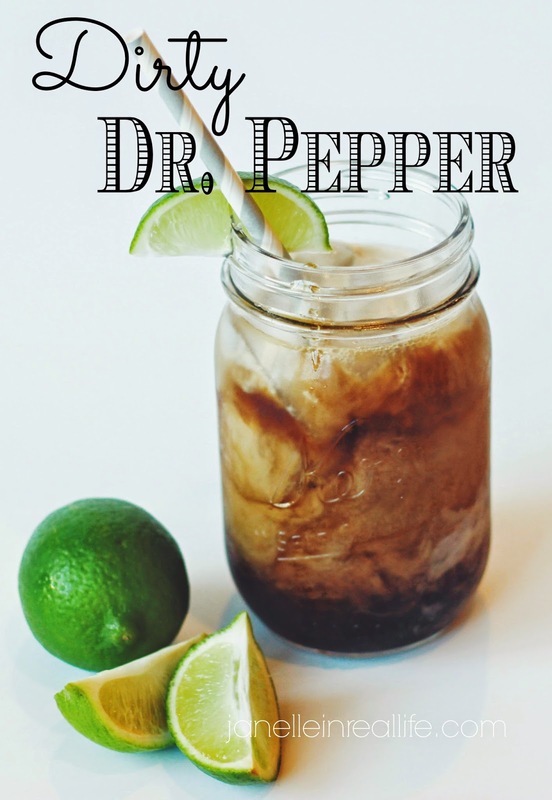 "Dirty" just means coconut syrup & fresh lime (and a little half & half if you desire) are added to the Dr. Pepper and you guys... it's so good. 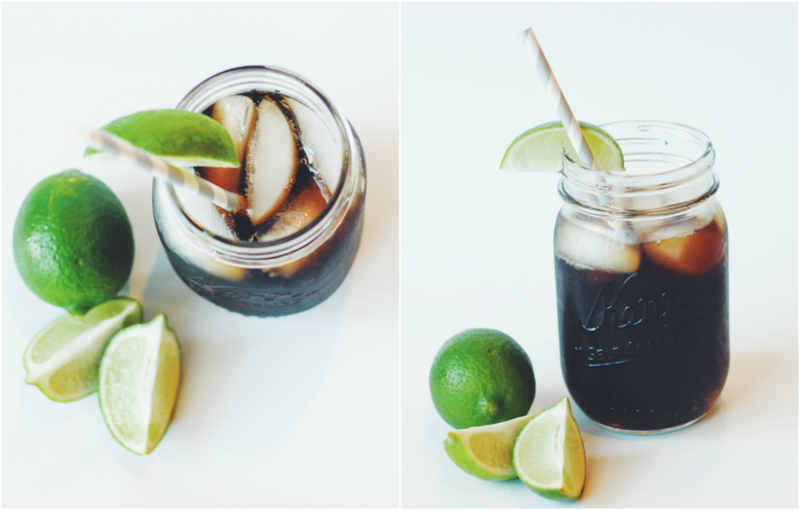 Since I find myself craving these drinks on the regular, I figured I would learn how to make one at home! And to give you all the recipe so you can enjoy the goodness too. Here it is! Here are all the ingredients... super simple and stuff you can find at your local grocery store! The coconut syrup might not always be in stock, but they also sell that on Amazon! Just grab a cup & some ice and start adding your ingredients! 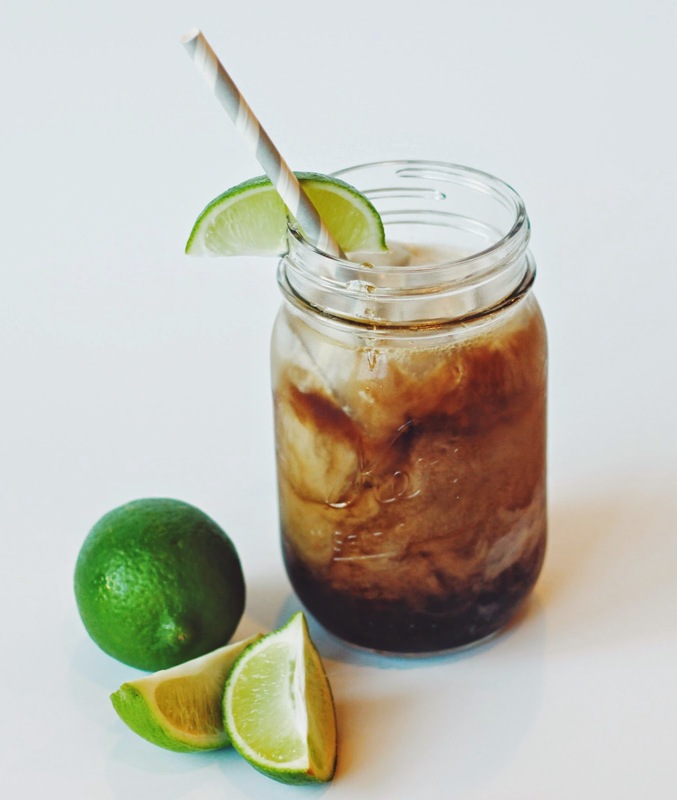 I do Dr. Pepper first (about 8 oz) and then I add a cap-full or two of coconut syrup (or more depending on how coconut-y you want it to be), and squeeze in a 1/4 wedge of lime. 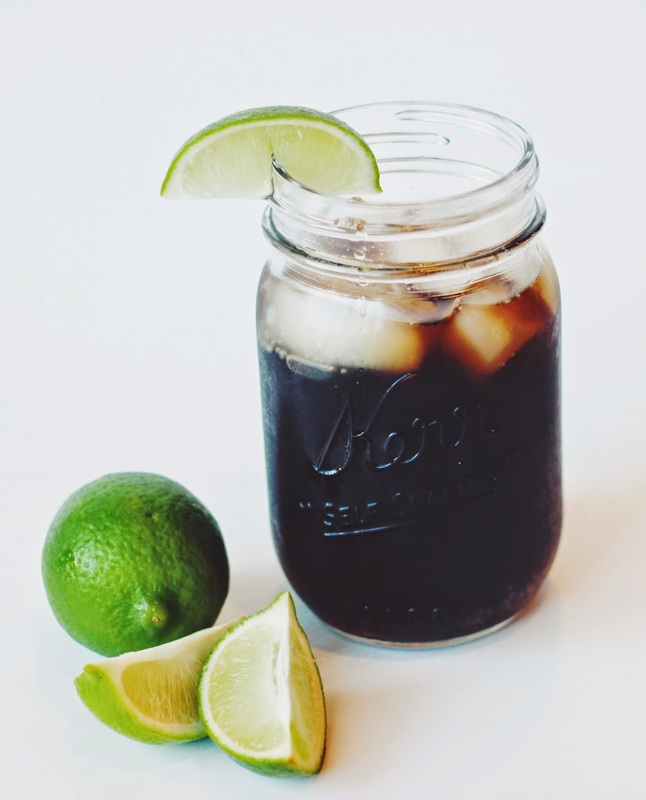 Another take on this drink is to use Diet Coke instead! Which would also be amazing. Add a cute lil' straw and sip away on your delicious beverage! And if you feel so inclined, you can add a splash of half & half, which is a mighty tasty addition. And that's all folks! Super simple & so delicious. Feel free to share this yummy little recipe with your pals! just so you know-- these are beautiful pictures! I can never get food pictures to look just right. Yum! That sounds so tasty! And I agree with Lauryn that the pics are beautiful! such a cute post! I need to make these for my hubby! its his favorite drink! Looks great, and served in the classic "King Cup" ! Love it. Great post! I'm going to have to try this out!! This looks great, very refreshing. 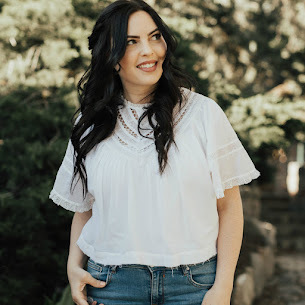 Hope you are having a great week and thanks so much for sharing with Full Plate Thursday.